39 local men and women recently completed United Way's leadership development program for persons of color, Project Blueprint. In June, Heart of West Michigan United Way graduated the students of the 2011 Project Blueprint class. Project Blueprint is a leadership development class for persons of color, encouraging and enabling them to serve as board and committee members for nonprofit organizations in our community. Thirty-nine talented men and women, representing a wide range of backgrounds and career fields, crossed the stage at GVSU's Loosemore Auditorium and accepted their diplomas and the call to serve their community. The 2011 Blueprint class joins the 753 other graduates of the Blueprint program since its inception in 1988. Many of the past graduates were on hand to celebrate with the new class and share their stories of commitment and success in serving. Featured speaker, Olubunmi Parks, a Blueprint graduate herself, drew on Dr. Martin Luther King, Jr.'s famous quote, saying "Everybody can be great, because anybody can serve." She shared what the Blueprint program has done for her, including providing her with confidence and the tools to effectively serve. "I encourage all of tonight's graduates to make the most of what you've learned through your experience," she said. The evening also featured the Debra Holmes-Garrison “Champions of Diversity” awards, which honor the significant difference made in promoting racial harmony and inclusiveness in West Michigan. 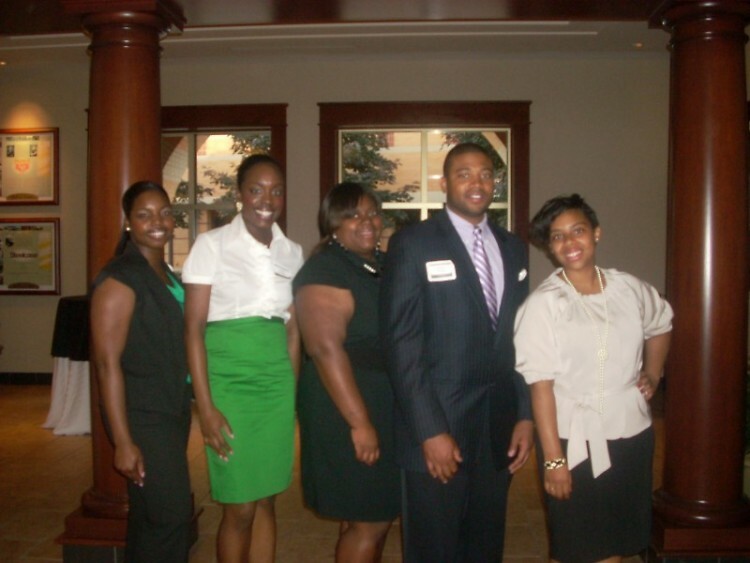 Our congratulations go out to the 2011 Blueprint graduates and the Champions of Diversity award winners. May each of you find much satisfaction and fulfillment as you serve!